We were only able to get just a few of the HD3000 in the black color. 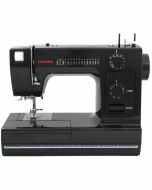 The Janome HD-3000 Sewing Machine in Limited Edition Black with Bonus Kit is heavy duty and the perfect sewing machine to create a wide range of projects with. 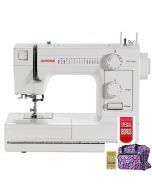 Get ready to save big on the Janome HD-3000 Sewing Machine in Limited Edition Black with Bonus Kit with our FREE Shipping, FREE Bonus Kit, and 0% interest financing. 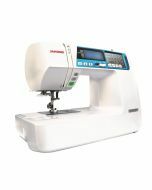 The Janome HD-3000 Sewing Machine in Limited Edition Black with Bonus Kit is a must have with all the best features. 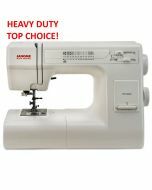 Order from us and enjoy a hassle free shopping experience. 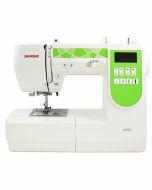 Machine size is 16" x 11.3" x 7.2"
Ken's Sewing Center provides lifetime support on the Janome HD-3000 including help on how to use the machine, help with accessories, and technical support.